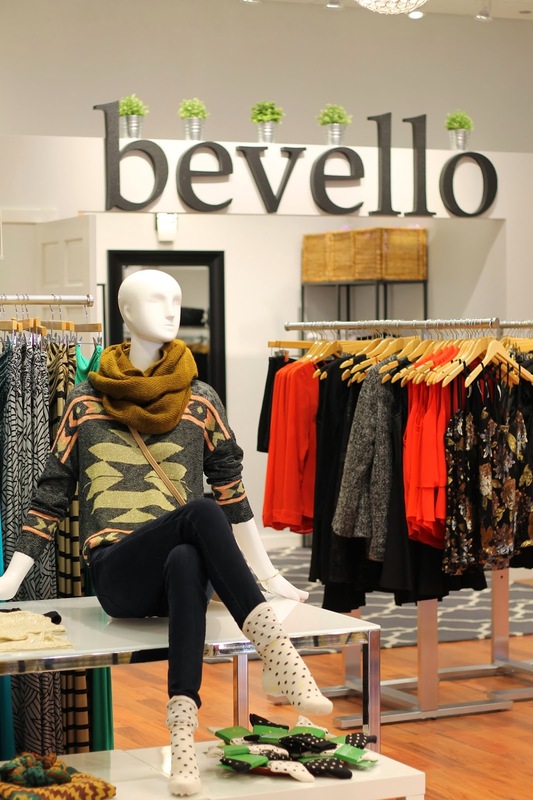 HOT PINK style: You're Invited to a Shopping Party at Bevello! Every now and then you come across a great new store that just seems to "get" your style. That's how I felt when I walked into Bevello in the Roosevelt Collection in South Loop. 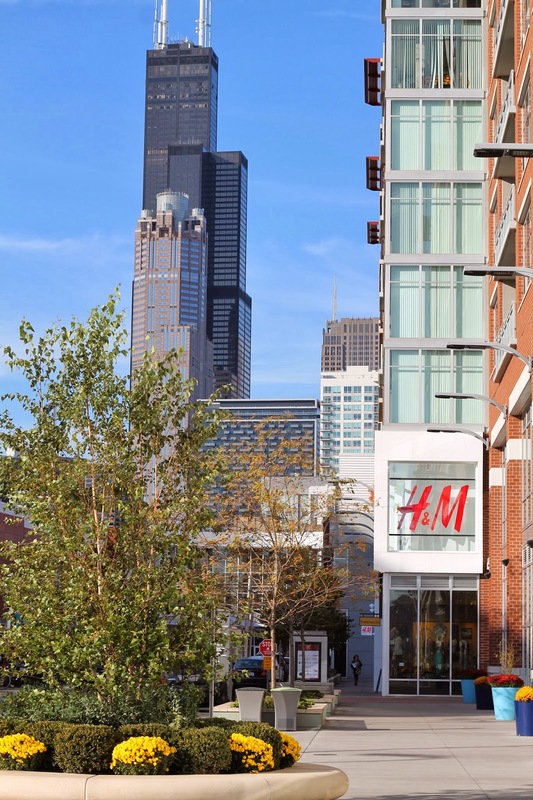 From cute, affordable sweaters to adorable polka-dot Kate Spade socks, this place has it all. And of course when I discover something great, you know I want to share it with all my readers. 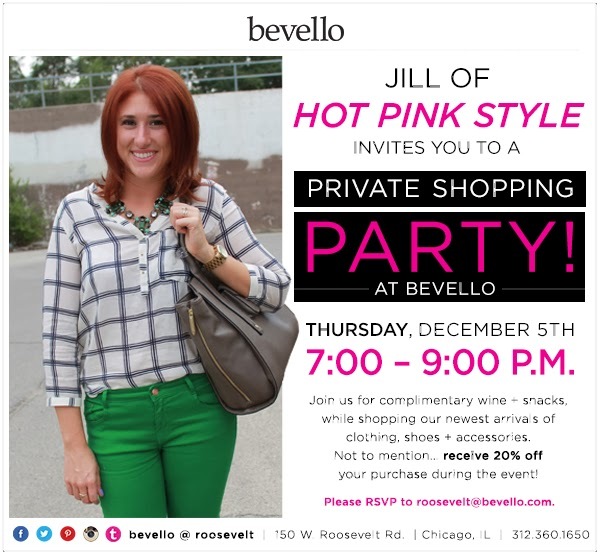 My friends at Bevello and I are so excited to invite you to a private shopping event, Thursday December 5th from 7-9pm, for all Hot Pink Style readers! If you are reading this, you are welcome to attend! You can enjoy a 20% discount on all your purchases while sipping complimentary wine and enjoying some tasty treats! Could there possibly be a better way to shop? I think not! *Free parking is available!!! RSVP right away to roosevelt@bevello.com, and see below for additional information and a preview of what you'll see there. 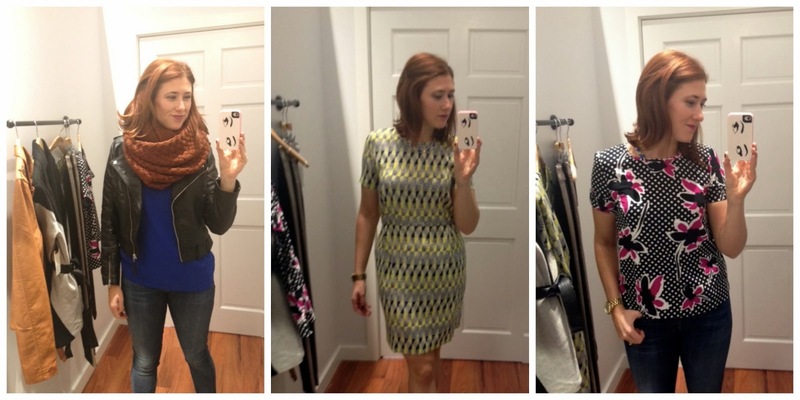 Tales from the fitting room. Remember that Infinity scarf last worn here? Jewels as far as the eye can see! Oh my gosh, how awesome Jill! That store looks awesome, I need to visit it when I'm back next! Love this, Love you!